Dedication and discipline have remained the winning combination for the leading plastic surgeon in San Antonio, Dr. Jaime Garza. Practicing for over 12 years, this Board Certified specialist has created a name for himself by providing patients with realistic approaches, highly advanced techniques and a keen eye for beauty. This plastic surgeon has proven time and time again to have an incredible eye for facelifts and rhinoplasty in San Antonio. This plastic surgeon in San Antonio is located in the Medical Center near the Spurs training facility and the Shops at La Cantera. During a personal consultation with Dr. Garza, you’ll have the opportunity to meet with the doctor personally and address any questions you may have regarding your aesthetic goals. The doctor and his caring and experienced staff will guide you through the entire process from start to finish. 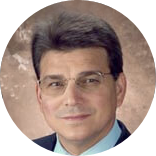 While Dr. Garza maintains his proficiency in all cosmetic surgery procedures, he specializes in facial plastic surgery, particularly rhinoplasty and endoscopic facelifts. Contact us today to learn more about plastic surgery in San Antonio and to arrange your one-on-one consultation! For breast augmentation, facelifts, or rhinoplasty in San Antonio, Dr. Garza is the surgeon you can trust. Dr. Garza's highly trained and competent office and clinical staff work diligently to make your cosmetic enhancement experience as pleasant as possible. Dr. Garza's medical assistants include certified anasthesiologists, surgical and registered nurses. Dr. Jaime Garza offers Consultations at a nominal fee. During your consultation, you will meet briefly with a registered nurse to discuss your specific goals and concerns, and become acquainted with the office staff. The majority of your consultation will be spent with Dr. Garza, where you will go through a Q and A session, physical examination, before and after pictures and be given a tour of the facility. After your consultation, you can schedule a second consultation with Dr. Garza to further discuss your goals and map out a detailed surgical plan. Due to the cosmetic nature of plastic surgery, Dr. Garza does not accept payment through insurance providers. Garza, JR, Rhinoplasty-An exacting procedure. San Antonio Medicine, October 2002. Dr. Garza has secured a U.S. Patent for a protective facemask system used by the National Basketball Association.